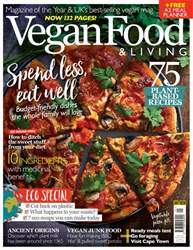 Digital Subscriptions > Vegan Food & Living Magazine > April 2018 > Next issue craving cheese? Do you still miss cheese? We show you how to make your own at home that is so good you won’t believe it’s vegan!